What is wrong with VoIP word? Travels, talks and telephony! There is "a thing" thrown from a corner to the other, enabling fear for some, hope for others. That is VoIP and clear is misused. Bloggers around the world chopped every news about VoIP providers failure -- let's not give names, searching web will reveal important Telcos or famous venture-capitalist backed up operators closing their VoIP offerings. Therefore something is wrong, what the heck? Everywhere I get the technology is heavy used. But hated in the same time. In my opinion it started with the way VoIP was brought to the market, since everybody contributed to it and mixed the technology with the service, building FUD, thus confusing environment. Simply and in first place, VoIP is a telephony technology, on the same layer as TDM, ISDN. Not a service. The operator must not go to enterprise and end user selling VoIP, they must keep selling telephony plus new services. Digital telephony came as added value against analog telephony by allowing dynamic interaction via DTMF and more features to PBX-es. That was one of the attractions that made it worth to deploy and successful. Today the operators simply fail to present the advantages VoIP brings to customers. In addition, Telco and Mobile operators perform anti-promoting actions to VoIP and they rely on it more than others for backbones and even to end customers -- just that they say it is either IMS based service or what so ever NGN-service. So, they admit doing VoIP, but on private, secure network. Here we are! What they should better say? Telephony services on VoIP over public network cannot ensure YOU, the end user, QoS, security (well, here lot to debate, but not the scope of this post) and everything else they consider being atu of doing VoIP over their walled-garden infrastructure. Pure VoIP service providers did the big mistake of advertising VoIP as service, and even worse, free service, thus they cut the main revenue stream, trapping themselves in traffic generation for termination, strongly tied to Telcos, rather than new services business. While a I see it "free as in speech" and not "free as in bear". The freedom I see is I, the customer, have the liberty to choose my terminal and use what ever functionality I like from what VoIP enables. Everyone should promote what VoIP enables YOU, the customer, to access hell-out of many new services, like presence, instant messaging, video, integration with social networking sites, mobility, multiple identities on the same wire, a.s.o. First, the average guy does not care what is VoIP. He needs to communicate and businesses should focus on that demand. Look at car manufacture, nobody promotes the technology behind new models, but the better fuel consumption figures, speed and acceleration, a.s.o. -- exactly what the end user cares about. I, on the other hand, go to operators and sell VoIP solutions. And say, hey, VoIP is the technology to build the future of telephony, showing benefits of new services, maintenance costs, etc. I must promote the technology and scream in all direction VoIP, VoIP, VoIP. It is very encouraging that the businesses around the project are growing and development speeds up. In the last days there were two requests for Kamailio specialists, so, if you are one of them and willing to work in Germany or Austria, within dynamic teams in challenging markets, check these posts were I summarize the announcements from Kamailio mailing lists. All these together with planned release of Kamailio 3.0 in October and further developement of SIP Router core framework announce an amazing autumn ahead. On short notice, I will present Understanding SIP/VoIP Architecture Design at SIP and IMS for Next Generation Telecoms 2009, September 23-25, Berlin, Germany. If you are in Berlin during the event and want to meet, send me an email at miconda [at] gmail.com . I had it from quite some time now, really enjoyed reading it, so time for blogging it. First, all authors are former fellows at FhG Fokus Institute, Berlin, Germany and most of them tight involved in SIP Express Router from day one. So this is not something written upon theoretical research and concepts but upon years of hands on experience with SIP networks. Having technical background, I found interesting the blending of cryptographic mechanisms, security concepts and applicability to SIP networks. Everything needed to fully understand the book is inside. For me, it is important to mention that lot of scenarios and solutions are exemplified with SIP Express Router, project I was involved pretty much from its beginning, from where I started Kamailio (OpenSER) back in 2005 and I met again last November within SIP Router project. The chapter about DoS attacks is comprehensive, covering over 15 type of attacks. I will blog in more details about the chapters I find most interesting for me. Sipwise is currently hiring a VoIP System Administrator for an interesting position based in Vienna, Austria. You have strong skills in Linux system administration (Monitoring and Alerting using SNMP/Nagios/Cacti/MRTG, Scripting in Perl/M4/sh), a deep understanding of highly available system deployments and good knowledge regarding SIP (preferably Kamailio, Sems, Asterisk)? Sipwise offer you a challenging position to help our team further improving our Kamailio-based Class5 Softswitches, deploying them at customer sites and supporting our customers (large DSL and Cable Providers throughout Europe) and sales teams with technical details. what was good and bad? this being required for proper dimensioning of meeting room and needed logistics. Registration must be done before September 28, 2009.
if there is interest from developers, the days before the public meeting can be organized as hacking session, where you get your hands dirty and code around the project. Do not forget to mention your interest in such event! More details to follow soon! Stay tuned! Courtesy of Henning Westerholt, SIP Router repository includes dedicated module and applications for fast number portability handling - hte feature will be part of upcoming Kamailio (OpenSER) 3.0 release. This server loads serialized routing data from the disk and stores it in memory. It then listens on an UDP port for requests containing a number and returns ID of the carrier which owns the number. This server uses the same data structure as the carrierroute module and provides a really good performance — consumes only a few percent CPU, even you use only one server for your complete call routing cluster. This module connects the sip-router server to the pdb server. It supports load-balancing and aggressive timeouts. Normally it does not need more than a few ms to query the remote server and return the reply to the configuration script. This tool provides the functionality to compile the carrier and number information into the binary data format the pdb server expect. It supports optimizing the generated trie structure, so that for example the complete number to carrier mapping for Germany (app. 150 million numbers) don’t need more than a few hundred megabytes. You can also combine not interesting carriers in order to save even more space and get better performance. The module can be in the modules/pdb directory, the server and tool is in utils/pdbt. This directory also contains documentation (README for module, utils/pdbt/docs/* for data format and network protocol). One of the most discussed architectural aspects of configuration file was the way changes done to received SIP messages are handled – even new headers are added, old are removed or different parts of message were updated, the changes were not immediately visibile. The latest GIT repository includes a new config function – msg_apply_changes() – exported by module textops from modules_k folder. Once this function is used, all changes done up to that point are applied and further processing within config will see the new message content. The new function can be used only in request route for now. 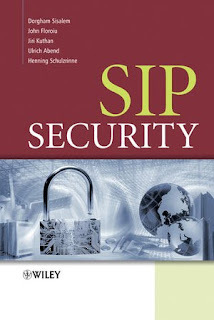 Be carefully when using it, since it changes the expectation you had so far of always working on initially received SIP message. Once the function is used, initial content is lost forever. As it builds a new buffer and re-parses, it is not very recommended to use it extensively. The functionality will be part of upcoming Kamailio (OpenSER) 3.0 release. Time for first release based on SIP Router Project is approaching. Source code will be frozen Monday, September 14, 2009, to enter the testing phase for releasing Kamailio 3.0. As usual, work on additional tools and documentation can go on during testing. Developers willing to push brand new features in the next major release have to hurry. The configuration file language of Kamailio (OpenSER) and SIP Router supports now a new directive that allow including the content of another file during parsing of routing logic. This allows splitting big configs for easier maintenance, even modularity — building a library of config snippets that are included and combined to build a full configuration file. There is no restriction of what the included file should contain, it must be a valid content for the place where the include directive is used. Interested in working with one of the biggest Voice over IP networks in Europe? 1&1 is hiring and have two open positions in Karlsruhe, Germany. Please feel free to contact Henning Westerholt ( henning.westerholt [at] 1und1.de ) for any question. 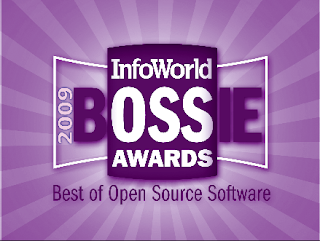 "Award winners in network and network management are old favorites Cacti and Nagios, the IPCop firewall, Kamailio SIP proxy server, KeePass password manager, Openfiler SAN/NAS appliance, OpenNMS enterprise monitoring system, PacketFence network access control solution, Puppet configuration management framework, and Untangle network security gateway." 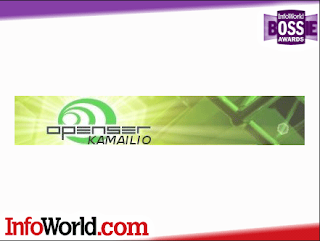 "Kamailio is the open source SIP proxy server formerly known as OpenSER. Used with an Asterisk IP PBX server for phone features, plus a hardware gateway for connection to the outside world, Kamailio brings important call handling and scalability benefits to Asterisk, while also removing the Asterisk server as a single point of failure. Larger organizations get the phone features they need, as well as the added safety of VoIP calls surviving an Asterisk server outage."